Arkansas’ proximity to the Gulf of Mexico and “Tornado Alley” creates region-specific hazards like hurricanes and tornadoes, which can rack up costly damages and claims. Because of this, premiums in Arkansas are slightly higher than average in the U.S. That said, premiums for homeowners insurance depend on many different factors, so shopping around and getting quotes from multiple companies is the only way to find the best (and cheapest) insurance for your specific situation. To find our top Arkansas homeowners insurance companies, we used a similar methodology to that in our review of the best homeowners insurance providers nationwide, with an eye toward what makes buying homeowners insurance in Arkansas unique. We started with the top five providers of homeowners insurance by market share in Arkansas and evaluated each of them based on their coverage options and discounts, paying special attention to the options Arkansas homeowners in particular would be interested in: coverage from tornadoes, hail, rain, and wind damage. Then we looked at the companies’ financial stability ratings from independent agencies A.M. Best, Moody’s, and S&P Global — plus customer satisfaction and claims process rankings from Consumer Reports and J.D. Power. Finally, we put ourselves in the shoes of a prospective buyer and went through the quote process for a sample property in Arkansas to judge how easy it was to get an estimate. In the end, we ranked the top five based on how well they performed in each of these areas. That said, the best coverage for one homeowner might be totally different for another, since coverage rates vary based on what kind of home you’re insuring, where you live, and what discounts or endorsements apply. We recommend using this review as a guide as you begin shopping around for your best option. We highly suggest starting your search for Arkansas homeowners insurance with State Farm. Most State Farm basic coverage plans cover Arkansas homeowners for the most common claims, like wind, hail, and lightning. It shines for its financial stability ratings, hitting top marks with both A.M. Best and S&P Global — higher than any of the other companies we looked at. Its reputation with customers is also great: J.D. Power’s 2019 Property Claims Satisfaction Study graded State Farm 866 out of 1,000, and J.D. Power’s U.S. Home Insurance Study rated it 825 out of 1,000. State Farm also earned high marks from Consumer Reports’ reader scores. 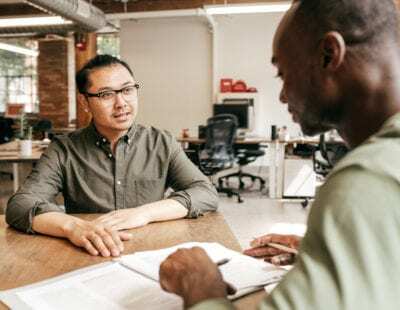 Not only will State Farm be there for you as you create your policy, but it comes with the confidence that your claims will be paid promptly and reliably in the future. State Farm also stands out for the endorsements it offers, including coverage for sewer and water backup, as well as identity theft coverage and inflation guard. You’ll have lots of options to customize your policy to fit your personal needs. State Farm’s website outlines several potential discounts, as well — second only to the number offered by Allstate — including discounts for holding multiple policies with State Farm and having safety features like deadbolt locks in your home. In terms of online tools and educational resources, State Farm lacks the same wealth of options as Shelter Mutual, Allstate, and Farmers. However, the online experience is redeemed by the online quote tool process, which offers up a lot of the information missing from the rest of the site. This highly customizable tool allows you to enter your personal amount of dwelling protection to see how different endorsements and discounts will affect your monthly premium. It’s a handy feature and one we didn’t see anywhere else. We love Allstate’s website, which includes information specific to your region and educational pages that outline how the company handles specific claims — like damage from severe storms, hurricanes, and tornadoes. It’s still important to check your policy thoroughly and/or speak with an agent about your potential coverage for those types of damage; while most policies cover damage from wind and hail, some contain a separate deductible for hurricane- or tornado-specific claims. However, we appreciated the depth and breadth of Allstate’s educational materials, which take some of the legwork out of your insurance research. Allstate ranks just below State Farm in terms of financial stability, with good to excellent ratings from A.M. Best, Moody’s, and S&P Global. Allstate’s Consumer Reports rating and J.D. Power customer satisfaction rating (822) are also just slightly lower than those of front-runner State Farm. However, the company tops all other contenders in terms of discounts, including one for new customers, one for having your account set to auto-pay, and one for customers age 55 and older. 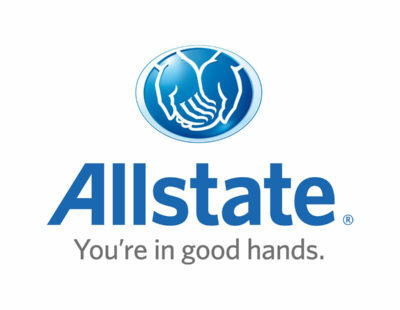 While Allstate doesn’t offer quite as many endorsements as State Farm, it does include some important ones, like one for sewer and water backup. The clincher? Allstate’s online quote tool is quick and easy to use. It even uses the address you input to auto-populate information about the property you’re looking to insure, like square footage and number of bathrooms, so you can save even more time while you shop. With high ratings and a wealth of online resources, Shelter Mutual is also worth looking into. 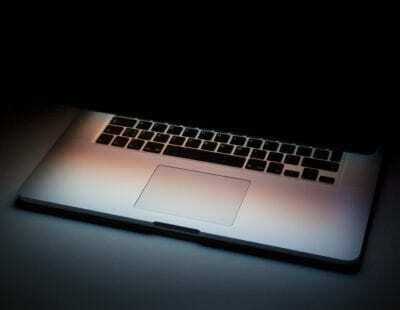 Its website is incredibly informative, with an FAQ section and clear information about its coverage options. The number of endorsements it lists is second only to State Farm, making it one of the most customizable policies around. And though Shelter Mutual doesn’t have quite as many discounts as the other companies we looked at, it offers the basic ones: multi-policy discount, claims-free discount, and discounts for added safety features to your home, like alarms and locks. Shelter Mutual is not rated by Consumer Reports or J.D. Power. However, while it is only rated by one of the three companies we used to analyze financial stability (A.M. Best), it earned an “Excellent” rating: the second-highest rating offered, and an assurance that it will be able to pay up on claims if the time comes. Because of its high ratings and detailed coverage options, we definitely recommend taking a look to see if Shelter Mutual is right for you. Keep in mind, though, that you will need to wait for a specific agent to reach out to you after filling out the online quote tool, as Shelter Mutual doesn’t provide a premium estimate upfront. Farmers may not have the same ratings and endorsements as our other top picks, but it’s still a solid option as you shop around for quotes. We found Farmers’ website to be among the most educational and easy to use of our five contenders, ranking just as high as Allstate’s site and better than the other three. We loved the detailed FAQ section that covers questions we didn’t even think to ask, including the fact that Farmers will cover your living expenses (up to a limit) if your home becomes uninhabitable due to a covered loss. It also sets itself apart with an easy-to-use online quote tool which, like Allstate’s, auto-fills a lot of the information about a property once you input an address. State Farm and Shelter still have Farmers beat on number of optional endorsements, but it has just as many as Allstate and Farm Bureau Mutual. Farmers also lacks the sheer quantity of discounts as Shelter or Allstate, though it includes popular ones for having multiple policies with the same company, as well as those for safety measures like deadbolt locks and alarms. Depending on your situation, it’s likely that you’ll be able to find some way to save money with Farmers. Its financial stability ratings are also good but, again, not as great as Allstate’s or State Farm’s. It’s similarly right in the middle of the pack when it comes to customer satisfaction and claims experience ratings — earning a 819 out of 1,000 on J.D. Power's 2018 U.S. Home Insurance Study and an average score from Consumer Reports. Farm Bureau Mutual Insurance Company of Arkansas is one of the top five writers of homeowners insurance policies in Arkansas, but it’s difficult to rate it alongside our other four picks. This is largely because of its membership requirements: To get insurance from Farm Bureau, you have to become a member of a county Farm Bureau agricultural organization. Farm Bureau doesn’t offer an online quote tool, but if you’re a member of a Farm Bureau organization or want to know if its coverage might be right to you, it could be worth it to find an agent and get a quote while you shop for homeowners insurance. It offers a similar number of endorsements and discounts as our other picks, and though it may not have as many convenience features, there’s a chance it could offer you the lowest premium. Providing service for military personnel and immediate family, USAA is one of the highest-rated insurers you’ll find. It ranks 5 out of 5 in all of J.D. Power’s categories: claims, interaction, billing process and policy information, price, policy offerings, and overall satisfaction. It also earned 891 out of 1,000 in J.D. Power’s 2018 U.S. Home Insurance Study and a 901 out of 1,000 in the Property Claims Study. The company is solid financially, too, with an A.M. Financial Strength Rating of A++. Wondering if you qualify? USAA offers service to current members of the military, including active duty, Guard, Reserve, and Officer candidates (ROTS, OTS/OCS, and Academy), as well as military vets and retirees who have served honorably and spouses of current or former service members. Children of USAA members are also eligible. Homeowners insurance rates in Arkansas are a bit higher than the country on average, largely due to the number of catastrophic events common to the state. Big storms every few years mean big payouts; for reference, in 2011, homeowners insurance companies paid an average of $1,043 in claims for every insured home in Arkansas. That’s 67% more than the $625 paid on average in the whole country, according to the Insurance Research Council. As a result, premiums rise, making Arkansas the 14th most expensive state for purchasing homeowners insurance. When it comes to this kind of catastrophic coverage, it’s crucial to think ahead. Most insurance companies require endorsements for specific types of coverage for catastrophic damage, like that caused by tornadoes and hurricanes. Be sure to ask your agent about the wind coverage in your policy to see if you’ll need an endorsement or if you’ll have a separate deductible for hurricane- and tornado-related wind damage. The most important thing to keep in mind as you choose your homeowners insurance is that it pays to shop around. As seen in the table below, monthly premiums vary widely by company and location. For a sample property in Little Rock, for example, Allstate gave us the most expensive quote, but it was one of the cheapest for a sample property in Mena. The best coverage for you depends on where you live and what kind of home you have. Premiums also differ depending on the discounts you qualify for and the endorsements you need. It’s not enough to determine the best homeowners insurance based on your previous insurance company or the provider your neighbor uses — it’s critical to get quotes for your specific situation to figure out the cheapest and best coverage option for you. Do I need flood insurance in Arkansas? Probably. A lot of damage from tornadoes and hurricanes comes with the flooding caused by heavy rains along with the storm, and that damage won’t be covered unless you have supplemental flood insurance. The average cost of flood insurance is $700 per year, but that can vary dramatically based on property value and risk areas — adding this into your estimate as you shop around can save you from unexpected sticker-shock later. And remember: Because flood insurance is only sold through the federal government, all insurance companies require you to buy a separate policy from FloodSmart.gov. Is homeowners insurance mandatory in Arkansas? If you have a mortgage on your home, it's likely that homeowners insurance will be required by that agreement in order to carry full coverage.